March 25th---Sassy gave us a pair of wildly colored twins! Look at all those spots! What a good momma too with plenty of milk! Good girl for your first time. 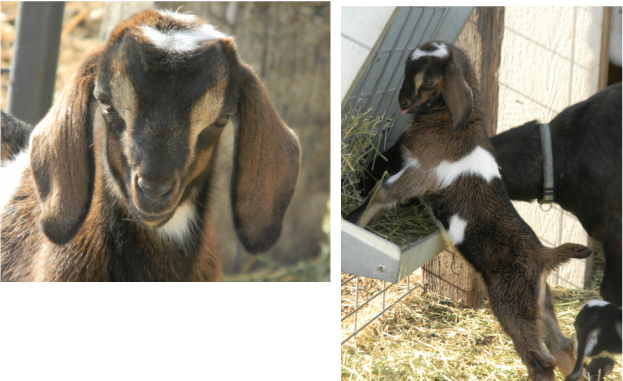 March 29th ---Star gave us a beautiful moon-spotted doeling and a very masculine handsome big baby boy! Miss Kitty kidded on March 30th with TWO healthy pretty girls that look much like their father! Panda decided to follow Miss Kitty on March 30th! Papa got the last of the kidding pens completed just in time! Panda twinned with a boy and a girl. 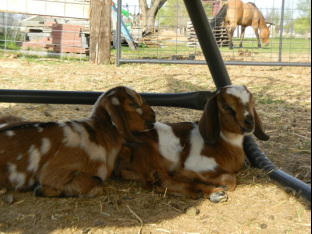 Lucy finished our kidding season with twins; one of each on April 3rd! Good girl Lucy!